It maybe a little bit of a lie to call this a salad, as I guess technically it isn’t. Or maybe it is depending on who you ask. Are carbs allowed in a salad? Is a salad allowed to be warm? 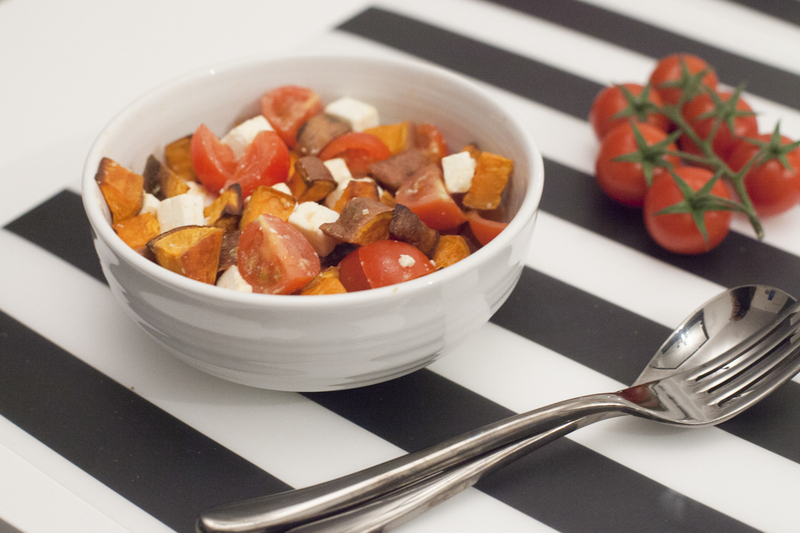 Well this is a very quick and easy sweet potato salad. You’re looking at 4 ingredients and around 30 minuets of your precious time. This rather delicious looking bowl of goodness can be eaten by 2 people as a side. But tonight been home alone, I decided to have it all to myself as a main. It was bloody lovely too. – Once your potato is cooked add it all into the bowl with the cheese and tomatoes, gently toss together (no need to drain the oil). – Ta Daaaaaa! Pop it onto a plate and you’re ready to go. 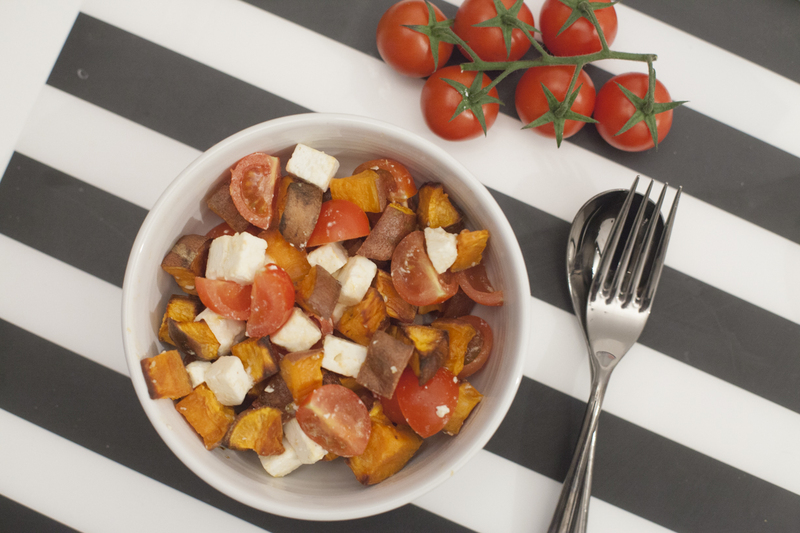 The warm sweet potato starts to melt the feta a little bit and there you have your dreamy salad. *As you may have noticed, I don’t really have many measurements when it comes to this dish. I originally had it as a side in an Hello Fresh Meal but can’t find the recipe for the life of me so did it all my memory. So feel free to experiment. Next time I may add some garlic when roasting the potato mmm.